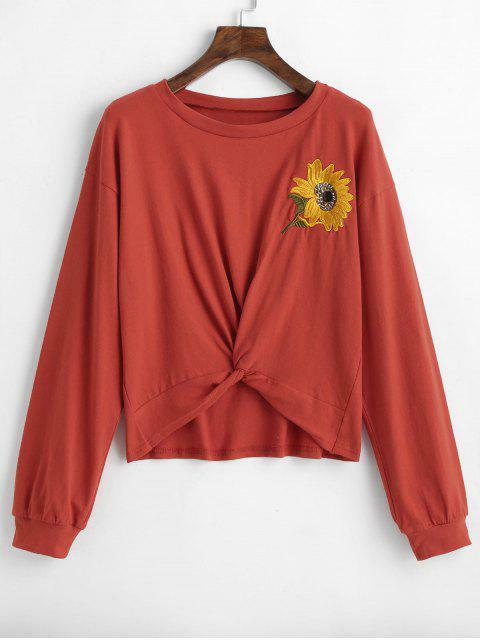 [26% OFF] 2019 ZAFUL Sunflower Embroidered Twist Top In CHESTNUT RED | ZAFUL ..
Super cute. I ordered a small. I’m 5’2 and 115 pounds. It is a bit short in the front, but with high rise jeans or shorts it’ll be fine. The fabric isn’t thin. The sunflower is perfect size and very detailed. I love it! 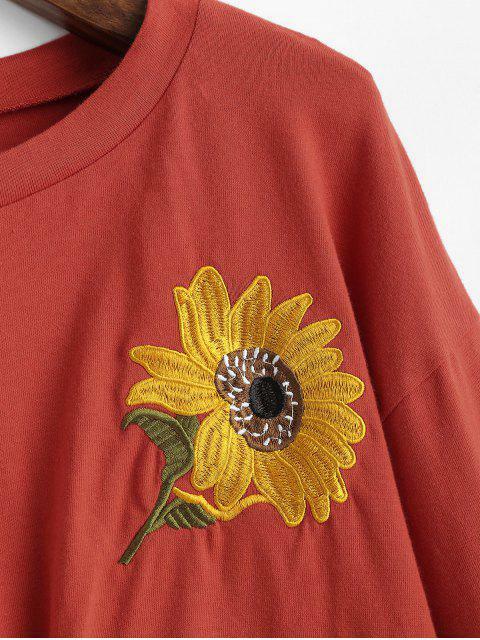 The twisted front creates an uneven hemline to add a little asymmetrical feel and the sunflower embroidered design at the chest offers an edgy, delicate look to this pullover sweatshirt. 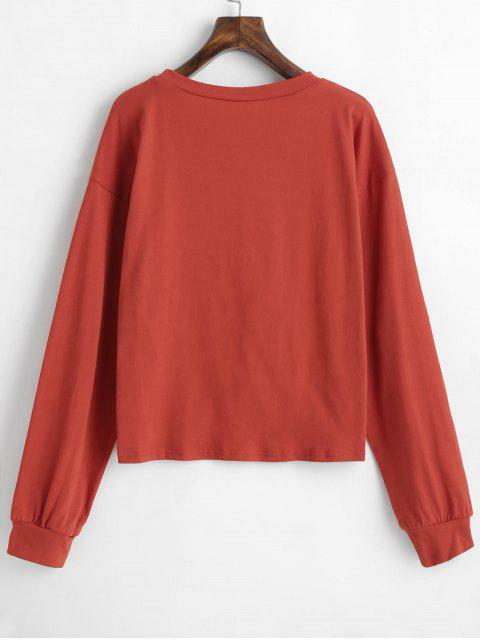 Pair it with any of your favorite jeans or shorts for an eye-catching casual look.